Diane Parr Walker, deputy university librarian at the University of Virginia, has been named Edward H. Arnold University Librarian at the University of Notre Dame, Provost Thomas G. Burish announced. Walker’s appointment is effective July 25. Since 2006, Walker has guided planning and coordination of all library services for the wide variety of disciplines represented at a large research institution. She has been responsible for Virginia’s library administrative services, including finances and budget, human resources, facilities planning and maintenance, and management information services. She leads the library’s strategic planning processes and directs the daily operations of a system with 12 locations, 230 faculty and staff and an operating budget of $23 million. Among the initiatives Walker has led or in which she has played a key role were the planning and construction of a new special collections library, a major renovation of the Charles L. Brown Science & Engineering Library, opening a café in the lobby of the main library (Virginia’s was among the first University libraries to do so), and long-range re-imagining of the physical facilities of the main library in preparation for a major renovation of a building that is more than 70 years old. Walker also collaborated with colleagues in the university’s information technology division on an incentive and training program for humanities faculty to help them incorporate technology in their classrooms, and more recently to coordinate a strategic institutional shift from providing computer labs to making it easier for students to use their own laptops throughout the libraries and across campus. She also developed and helped to redirect collection development and management strategies as the balance has shifted increasingly from all print and physical formats to digital. From 2003 to 2006, Walker focused on public services, collection development, user education, facilities and interlibrary services and established library services for the university’s Semester at Sea program. Walker earned master’s degrees in musicology from the University of Iowa and in library and information science from the University of Illinois and her bachelor’s degree in music literature from MacMurray College. She served for five years as music cataloguer and reference librarian at the State University of New York at Buffalo. 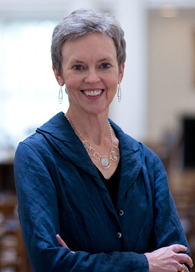 Prior to her present position at Virginia, she was the university’s music librarian, coordinator for humanities and social sciences branch libraries and associate university librarian for user services. Walker is a past president of the Music Library Association and has served as a member-at-large on the board of directors and as treasurer of the association. The Hesburgh Libraries at Notre Dame are served by more than 175 faculty and staff members and are composed of the main Hesburgh Library and eight other libraries across campus. They contain more than 3.3 million volumes, over 34,000 electronic titles, some 3 million microform units, and more than 29,000 audiovisual items – all in support of learning, teaching and research. Originally published by Dennis Brown at newsinfo.nd.edu on February 03, 2011.